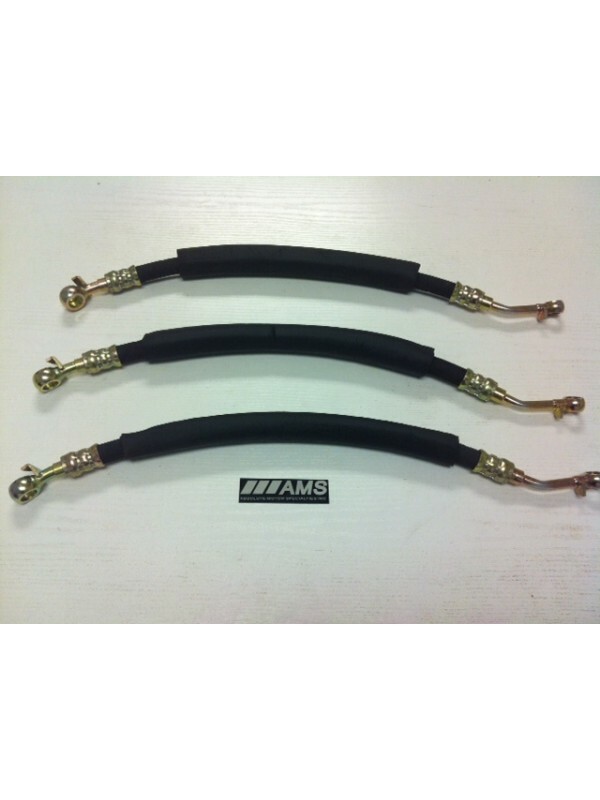 AMS INC. 'Kevlar' HICAS Power Steering hoses for the 1990-1993 Z32 TT! Replaces the OEM Nissan hoses which are prone to leaks. Leaking units will not only create a mess but will deteriorate belts and damage alternators as well! 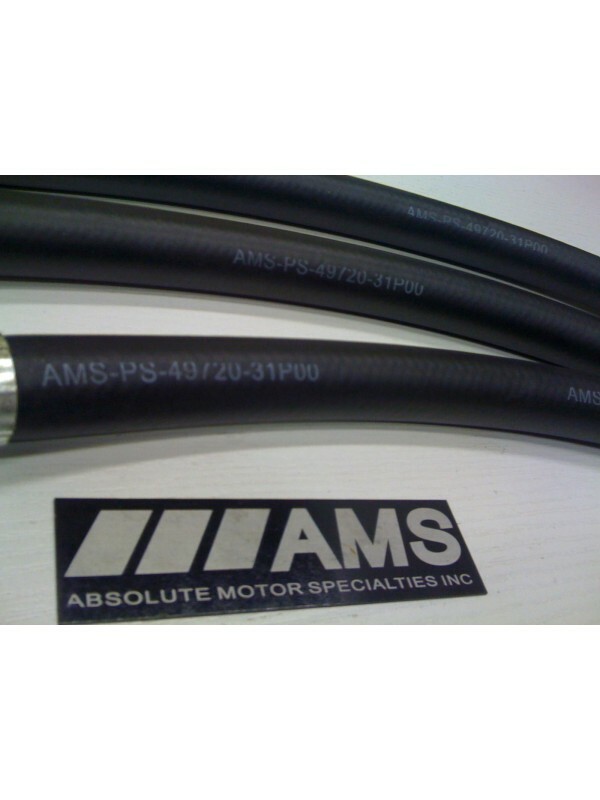 ADVANTAGES of the AMS 'KEVLAR' PS HOSES: -The AMS INC. Kevlar enforced belt offers premium grade materials over OEM. - Brand New Unit! Not a rebuild requiring the re-use of old metal pipes, core charges and extra shipping fees of old units. Best option on the Market! New OEM units from Nissan cost $196 - save BIG $$$ 1 Yr Manufacturer Backed Warranty! - Direct OEM replacement Replaces OEM Nissan Powersteering Hose 49720-31P05 for the HICAS Four wheel Steering on the '90-'93 TT. This line feeds fluid from the Powersteering Pump to the HICAS Solenoid on the passenger side fender.